I will interview boxing gym owner and trainer Sonny Gutierrez on Tuesday, December 27, 2016. The interview will be featured on an upcoming episode of our new podcast The Weigh-In. 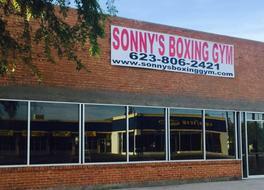 Sonny runs Sonny's Boxing Gym in Goodyear, Arizona.